Since the standard reform, the structure of the standard has changed to support leadership and business and be more easily exploited. Documentation is not as binding as it used to be. The new standard has its basis in risk management. The approach is based on risk-based thinking: identifying, defining and managing risks. Proper risk management will bring qualitative results, which can achieve the requirements of the product and the service. A risk also has its counterpart: the possibility. The standard also deals with possibility as a theme of positive uncertainty. Another big change is leadership. Senior management’s commitment to pursue quality has been established through strong and visible leadership. More value has also been added to the analysis of the business environment and the stakeholders. 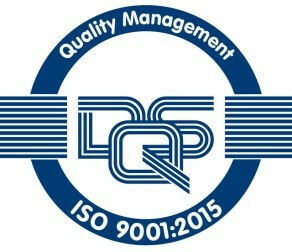 DQS GmbH awarded us a new ISO9001:2015 certificate on 16.03.2017. We believe that since receiving the certificate, our operations have become increasingly better in quality, and more secure. Due to this we are also able to serve our customers holistically in all areas.